Rental outlets have the equipment, but leave you to pay for transport/delivery & operation of the unit. Sometimes that rate looked great, but the machine requires an experienced hand at the controls to work safely & efficiently. Experienced operators offer timely completion of a job, transport to & from the site as well as fueling & full insurance already built in. Familiarity with our equipment, and multiple machines & attachments for almost any home owner or business to utilize. 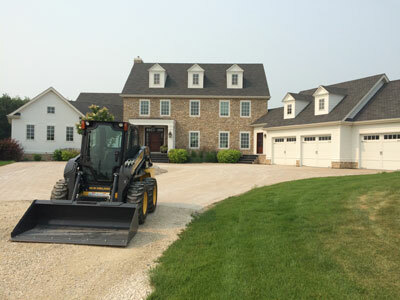 Seine River Yard Care offers a wheeled Skid Steer, as well as a mini excavator. Attachments include Augers, and trenching buckets. Dump trailers can also be used to haul away debris & fill, allowing for a clean area to work. If you need our Equipment & Operators, we are there for you.